Alfa Romeo’s lineup has quite successfully captured the passion and performance for which the small Italian automaker has traditionally been known for. The 4C is a raw, unfiltered, enthusiast delight. And the Giulia is easily one of the most attractive and entertaining sport sedans on the market. As impressive as they are, however, the role they play in the Alfa lineup is nowhere near as crucial as that of the Stelvio. Crossover SUVs have seized sales dominance, and if a small automaker like Alfa Romeo is to achieve any kind of success, then high-riding, off-road trekking, family-movers are a must have. Although I’m not sure I’d call it as stylish as the Giulia, there’s no doubt that the Stelvio is quite a looker. The overall shape is quite similar to competing crossovers and even a few downmarket ones. I wouldn’t blame anyone for mistaking it for an Infiniti QX50 or a Mazda CX-5. Even so, the distinctiveness of the Alfa Romeo details and the exclusivity of the badge help it stand out on the road. In terms of design, I’d rank the Stelvio right up there with styling champs like the Volvo XC60, Jaguar F-Pace, and Maserati Levante. The interior is more or less a carryover of what you’d find inside the Giulia, which means you get a driver centric cockpit with well laid-out controls, thickly-bolstered sport seats, and a sporty-looking steering wheel with large column-mounted aluminum paddle shifters. Spaciousness for both front and rear seat occupants is reasonable, and the cargo area is quite accommodating. The issue is that the interior lacks the dazzle and polish of its competitors. The materials in some areas come off as a little cheap, and the infotainment system already looks and feels a generation behind. Traditionally simple tasks such as changing radio stations are an exercise in frustration. Its only saving grace really is that it’s compatible with Apple CarPlay. The Stelvio makes up ground in the driving department with crisp handling, solid body control, and an overall sporty feel. It’s not as entertaining to hustle as the lighter, sharper Giulia, but as far as crossovers go, the Stelvio is a solid performer. Being a performance-oriented crossover, the rise quality is on the firm side, which might be a turnoff to some. Also, something that may or may not be unique to my test car, the brakes are unusually difficult to modulate. They seem to require a great amount pressure to scrub off speed with zero feel through the pedal, which I find a bit unnerving. Power comes from a 2.0L turbocharged 4-cylinder engine producing 280 horsepower and 306 lb-ft of torque. 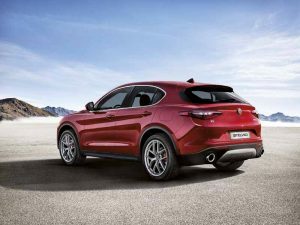 Most rivals offer a more powerful 6-cylinder variant of some kind, however, the Stelvio is quick enough that an upsized engine just isn’t necessary. It’s also reasonably efficient at 11.5L/100km over mixed city and highway driving. I’d happily pay a tiny extra in fuel, however, to lose the annoying engine start-stop feature, which is just too jerky and unrefined to tolerate for long periods. Fortunately, it can be turned off with the push of a button. All models come equipped with a smooth-shifting 8-speed automatic transmission and all-wheel drive. 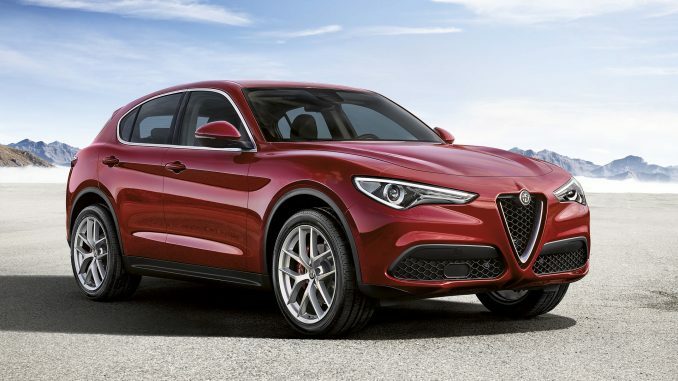 Pricing for the Stelvio starts at $51,845 or $53,845 for the more heavily equipped Ti model. Sport and Sport Ti trims add larger wheels with coloured brake calipers, aluminum paddle shifters, and other cosmetic enhancements for $55,045 and $56,345 respectively. With options such as active safety features, a dual-pane sunroof, Harmon Kardon audio system, leather dash, and a performance package with adaptive suspension and a limited-slip differential, the price tag can easily top 60 grand. The luxury crossover market is already flooded with desirable options including the Volvo XC60, Mercedes GLC, BMW X3, Jaguar F-Pace, and Porsche Macan, to name just a few. Some would argue that the Alfa Romeo’s small dealership network and questionable long-term reliability are its most notable drawbacks when compared to rivals. The truth is that, aside from Lexus or perhaps Acura, luxury crossovers in general just aren’t the place to be looking for care-free ownership. Despite its slant towards utility and family-friendliness, the Stelvio is really about the less sensible qualities like style, prestige, and charm. It’s a little rough around the edges, but what it lacks in refinement it makes up for in exclusivity. You buy one to be a little different, and as long as you’re willing to pay, there’s nothing wrong with that.